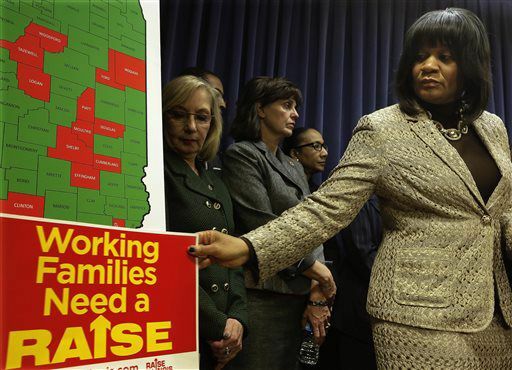 Illinois Sen. Kimberly Lightford, D-Maywood (right), prepares to speak with reporters in 2014 during a news conference on minimum wage increase legislation at the Illinois State Capitol in Springfield. Exact details of a proposal have not been released, but Senate Majority Leader Kimberly Lightford, D-Maywood, said she plans to introduce bill language as early as next week to advance Gov. J.B. Pritzker’s first major legislative agenda item. 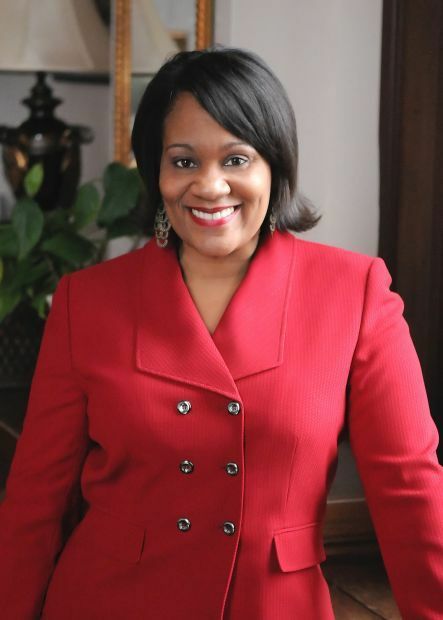 Lightford said a regional rollout has been discussed, but she questioned the constitutionality of it, and said it would further divide Illinois counties along economic lines. State Sen. Linda Holmes, D-Aurora, also asked about a geographic approach and noted that the cost of living is much more expensive in suburban Kendall County than it is in Springfield. “You bring up something so valid in that no one on minimum wage would be able to live in Kendall County,” Lightford said. State Sen. Cristina Castro, D-Elgin, asked how many businesses left the state from 2006 to 2010 when the last minimum wage increase occurred, and Grant did not have an answer. State Sen. Dave Koehler, D-Peoria, floated the idea of having a statewide minimum wage with regional opportunities for tax breaks for employers. Many people, especially liberals, have forgotten that minimum wage is in place for jobs that are "Aminimum skill"; this is not meant to be a "living wage" to support a family but rather a minimum guaranteed wage scale. It is crazy to take an arbitrary rate of $15 for low skill workers to drive the business model for entities.